Have you ever wondered how it’s possible for there to be two Jungle Book movies to be in development at the same time? Why everything seems to be based on a work by Shakespeare? Or why it always seems like someone is telling a version of The Wizard of Oz? The answer is that these works are in the public domain, meaning that copyright law no longer prevents other artists from adapting them to create new works. 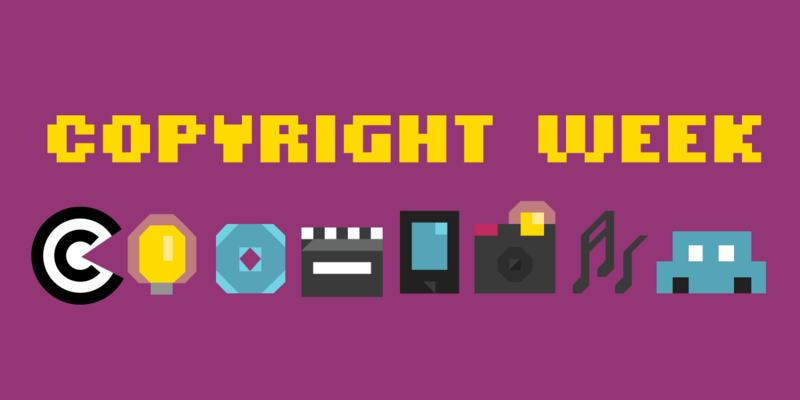 One major rationale for copyright is supposedly that, by giving an exclusive set of rights to artists for their work, we incentivize creativity by making it possible for artists to benefit from releasing works to the public. But copyright protection is supposed to be limited, and once it expires, a work enters the public domain, where anyone can use it. In the United States, the length of the copyright term has been steadily extended so that published works are effectively copyrighted for 95 years (for corporate works) or until 70 years after an author’s death (for individual works). This has resulted in a public domain that saw increasingly less materials being added to it, limiting the ability of artists to build on works that came before them. The last time Congress changed the law in the 1998 Copyright Term Extension Act, it was applied retroactively. Effectively, it meant that nothing has entered the public domain in the United States for years. January 1, 2019 will mark the end of this dry spell as works first published in 1923 will finally enter the public domain. That mean works like Cecil B. DeMille's The Ten Commandments and Universal's silent version of The Hunchback of Notre Dame, two movies released in 1923, will be eligible to join the public domain. Writers, filmmakers, musicians, and artists wear their influences on their sleeves, and whole branches of critique is devoted to teasing them out. It’s not new. The Aeneid was Virgil playing in the universe of Homer. Recently, and infamously, Fifty Shades of Grey was originally a piece of Twilight fanfiction. The Internet speaks in the language of pop culture: GIFs, mashups, retellings, fan fiction—all find life on the Internet. It’s not just small artists that rely on the public domain. Disney’s built an empire on making movies based on public domain fairy tales. Just last year, Disney released a live-action version of its animated take on Beauty and the Beast, a story that has been around since the 1700s. But Disney hasn’t been the best in allowing its own works to become part of the public domain. Disney is a huge beneficiary of the extended copyright term, locking down more and more famous works and worlds for its sole use. While new technology has made it easier to make art and find audiences, the expansion of the copyright term has made it easier for huge companies to devote resources to shutting them down. And even if a new creator is in the right, by relying on such doctrines as fair use for example, they often don’t have the resources to prove it. More works in the public domain mean more works indisputably available for new artists to build on. More public domain works mean more books available for free to read, movies to watch, music to listen to. And even if that does not inspire new works, it allows new generations to rediscover works of old. Our language is made up of references, and our art should reflect that. Creativity is enriched when the public domain is robust and easily accessed, and we look forward to finally seeing it grow once again in 2019.